What better way to start the day, to start the month ;))) some people may say, than speaking about coffee - be frank! you may have a cup of coffee just now in your hand! Europe has the highest per capita coffee consumption in the world. The EU consumes 2.5 million tons coffee per year, which equates to 4 kilos of roasted coffee per EU inhabitant per year. Every day some 725 million cups of coffee are drunk in the EU. The history of coffee goes at least as far back as the 10th century, with a number of reports and legends surrounding its first use. The native (undomesticated) origin of coffee is thought to have been Ethiopia. The earliest substantiated evidence of either coffee drinking or knowledge of the coffee tree is from the 15th century, in the Sufi monasteries of Yemen. By the 16th century, it had reached the rest of the Middle East, Persia, Turkey, Horn of Africa, and northern Africa. Coffee then spread to the Balkans, Italy and to the rest of Europe, to Indonesia and then to America. The first thing that my husband does, when he wakes up in the morning, is to put the kettle on - in order to make a cup of fresh coffee. He is the only one who drinks coffee in this house... I dont drink it (except for weddings) but I love its smell. Especially in the morning :) It reminds me of home, of childhood - yes, my Mum & Granny & Dad are also huge consumers of coffee. My Granny does not have breakfast. For her, breakfast = fresh coffee, hot & a piece of good chocolate. My husband does not have breakfast either. For him, breakfast = fresh coffee, hot & a good smoke ;))) I preffer my real breakfast but I understand how some people just cannot get out of bed without coffee - it can get addictive! While at home, this September, I went out with my dearest friend Catalina. She wanted to introduce me to "the best coffee place in town!" 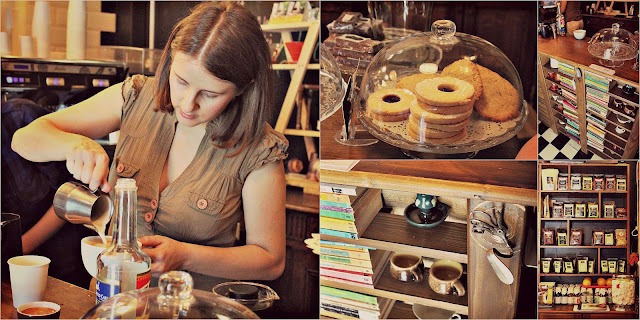 but as I do not drink coffee, she took me either way and introduced me to the best white tea I have ever had! I had a white tea with spirulina. Spirulina is one of the oldest life forms on Earth. In fact, this blue-green microalgae is partly responsible for producing the oxygen in the planet's atmosphere that billions of years ago allowed the planet's originating life forms to develop. Spirulina is the world's first superfood, and one of the most nutrient-rich foods on Earth. Spirulina provides a wide range of health benefits almost immediately upon ingestion. It provides a near-instantaneous boost to one's energy, while helping to improve endurance and reduce fatigue. It helps improve the immune system, and provides exceptional support for the heart, liver, and kidneys. Spirulina is also a natural detoxifier, oxygenating the blood, and helping cleanse the body of toxins and other impurities that may be causing illnesses or other health complications. They are open and friendly, and most of the customers that come to them are now their friends as well, and regulars to the shop. The shop creates a very home-like, friendly experience. But if you are not a coffee lover, worry not! as they serve also several types of tea (white, green and black), fresh natural juices (from Poland! ), hot chocolate, milk, wine & some delicously looking cookies. You can check their prices online & you can order the coffee/tea in advance (10 min and then you can pick it up). 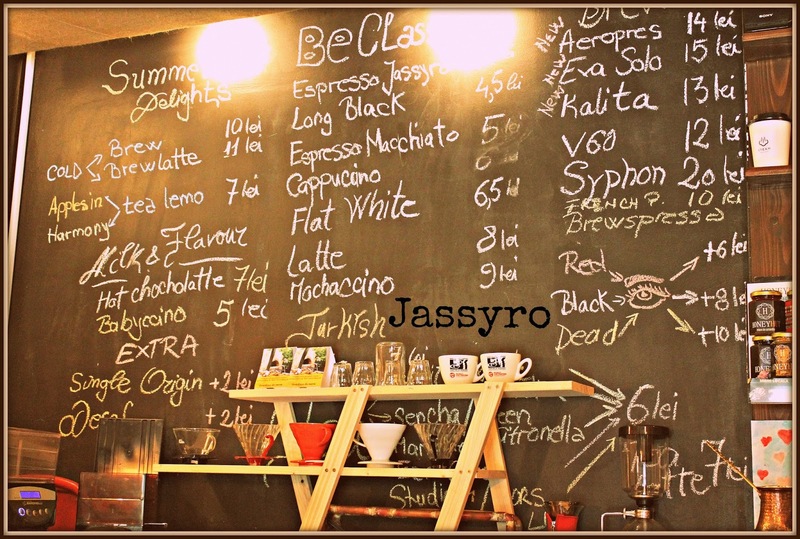 JassyRo is a CASH ONLY place, so don't bring your card! They are listed as #1 of 118 Restaurants in Iasi, on TripAdvisor - with 44 reviews and 5 stars out of 5! Ready to meet MY Guest Post Swap partner? DO NOT USE "Polish Death Camps"! Pictures by Anda Alexandra R. (unless otherwise credited or when I have no idea where the photo was extracted from). Unauthorized use and/or duplication of this material without express and written permission from this blog’s author and/or owner is strictly prohibited. Excerpts and links may be used, provided that full and clear credit is given to Anda Alexandra R. and The Home Of The Twisted Red LadyBug with appropriate and specific direction to the original content.